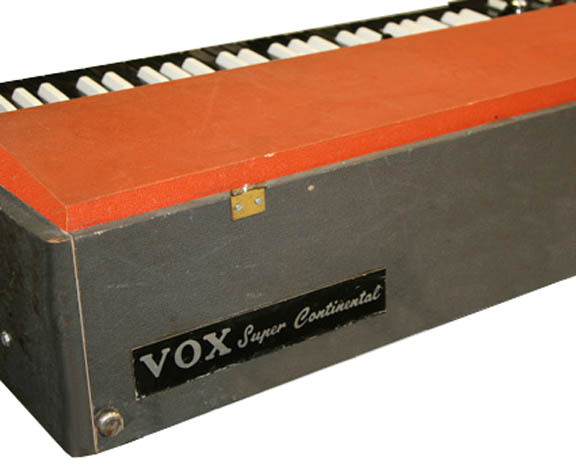 The earlier production of the V303E "Italian" Continental Organ was covered in the dark gray basket weave pattern vinyl shown at upper left. 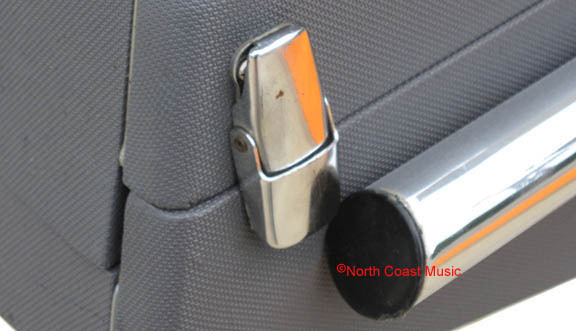 Silver piping was used as a cosmetic accent and to eliminate visible seams in the vinyl. 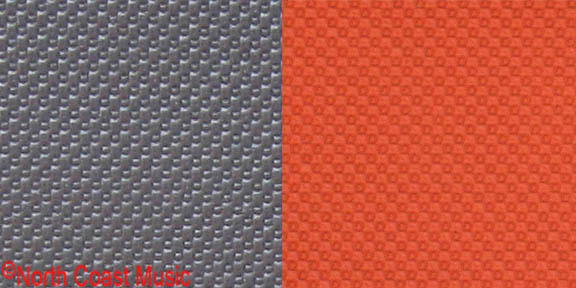 The orange vinyl used on the V303E also had the same small basket weave pattern. 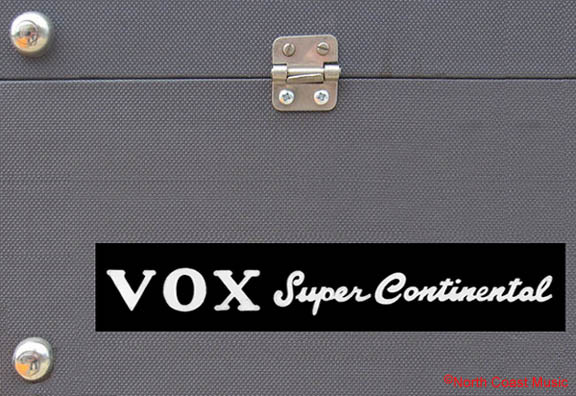 A photo etched aluminum "VOX Super Continental" logo was fastened to the front face of the organ, facing the audience.